Divide the half life equation by itself. Give the numerator to the lighter isotope and the denominator to the heavier isotope. Plug in the appropriate values. 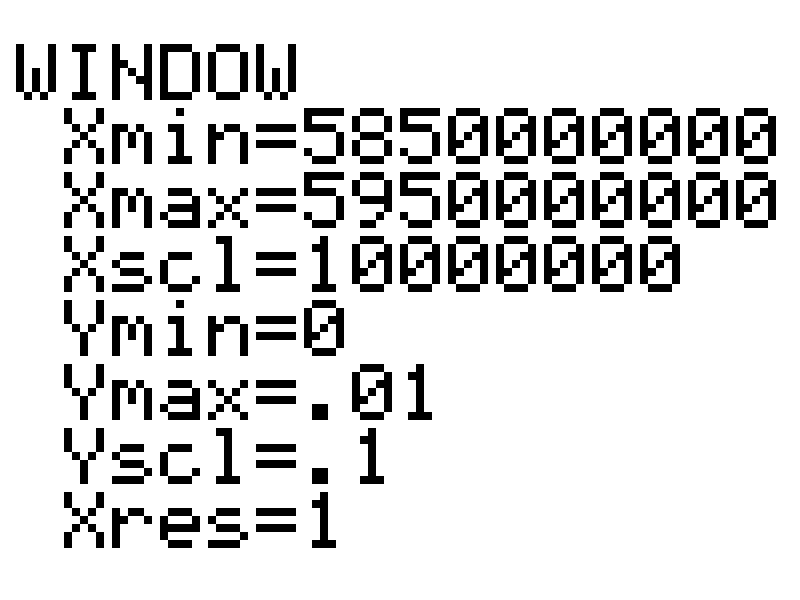 Normally, I'd reduce this equation down until the unknown quantity (t) was on the left side of the equals sign and everything else was on the right side. I don't recommend that in this case. You'll wind up with a base 2 log function in the results. I don't own a calculator with that capability built in. However, I do own a calculator that can draw graphs and allows me to trace over the curve, testing the value at various spots. 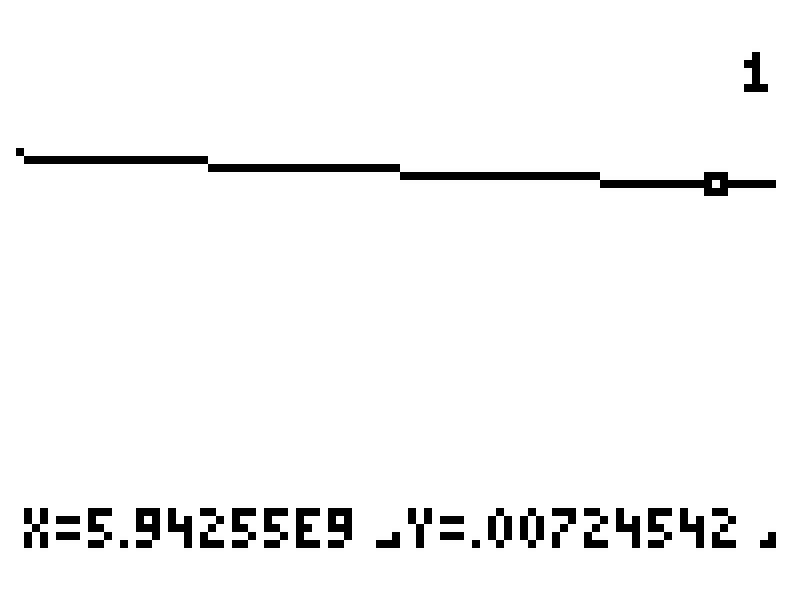 Plot this function (or something similar looking). 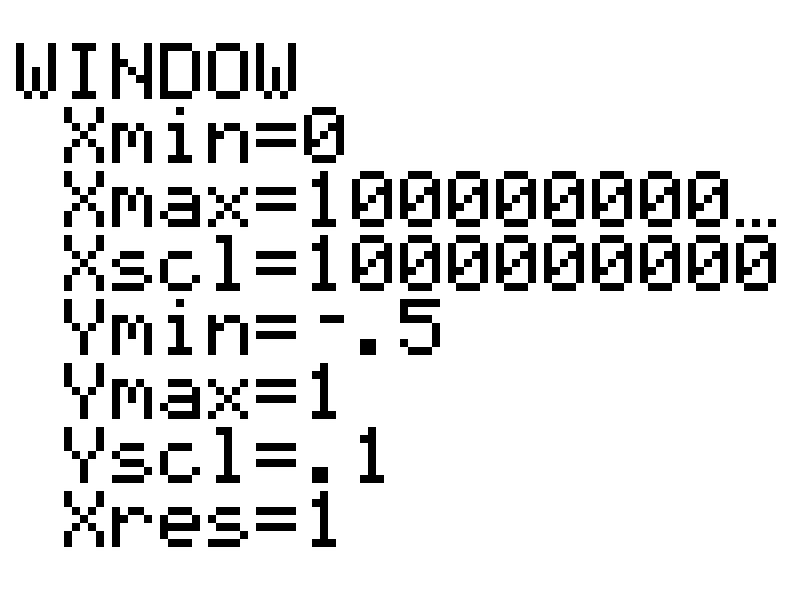 Set an appropriate range for the displayed window. I suspect the answer should be in the billions, so I'll set the horizontal range from 0 to 10 billion. Draw the graph and then probe it to find values around 0.00725. Those values are pretty close. Let's zoom in more to see if we can land on a value closer to our goal of 0.00725. Note how the curve looks like a straight line at this resolution. We've zoomed in quite a bit. The values to the left and right are converging towards our goal and are in agreement to within 3 significant digits. I think we've found our solution. This method is only good enough to give an order of magnitude estimate of the age of the Earth. The problem lies in the assumption that the two main isotopes of uranium ever had equal abundances. This is not the case. The sun was formed from the residue of stars that went supernova. We know that it is a second generation star because of the presence of heavy elements. The only way to naturally produce nuclei heavier than iron is in a supernova. This process was first described in a 1957 paper that is usually known by the last names of the authors in alphabetical order — Burbidge, Burbidge, Fowler, and Hoyle. The abundance of all the elements heavier than hydrogen and helium can be calculated by the processes described in this paper. In the case of uranium, supernovas always produce more 238U than 235U. Rutherford devised another method for determining the age of the Earth in the same year as the one described in this problem. This second method gave him a value of 3 billion years, which is 34% too small. The accepted value of 4.55 billion years quoted in this problem was determined by Claire Patterson (1922–1995) of the California Institute of Technology in 1956. It remains the definitive value to this day. 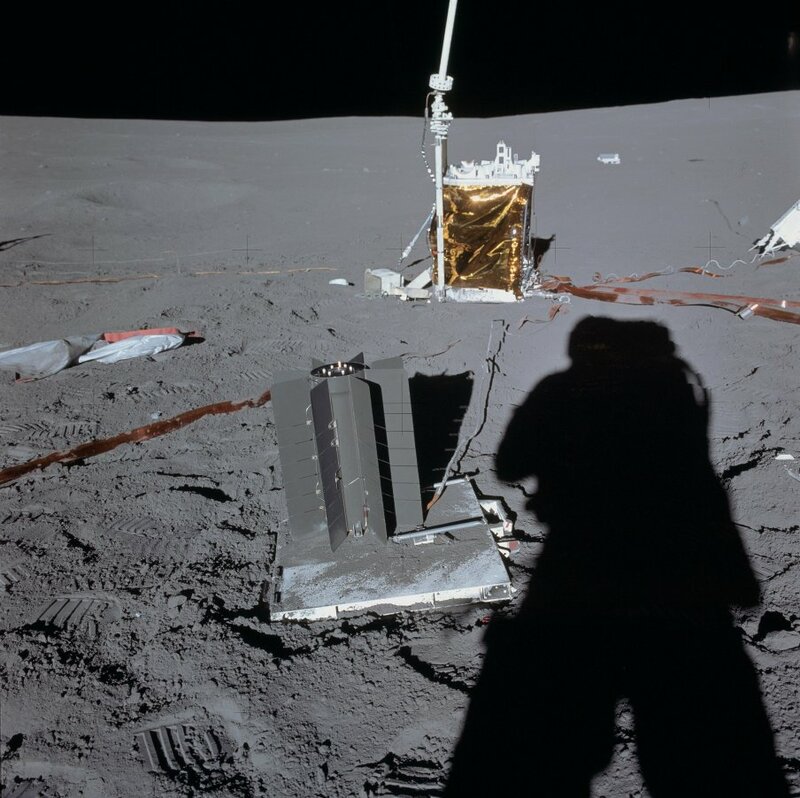 Let's begin by determining the number of atoms in 3.8 kg of plutonium 238 dioxide. Recall that oxygen has an atomic mass of 16 and therefore that 238PuO2 has a molecular mass of 238 + 2(16) = 270. This is an average value, but we want the initial value. 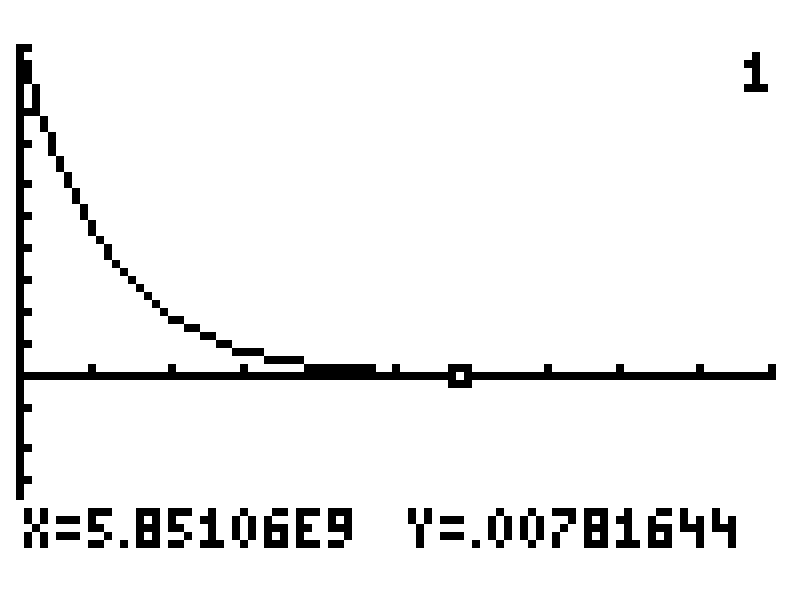 If the activity decreased linearly, the average value would be the average of the initial and final values. But this is radioactivity and radioactivity goes down exponentially not linearly. We will have to resort to calculus for this next step. The average value of a varying quantity is its definite integral divided by the interval. Rearrange to make the initial activity the subject of the equation and substitute numbers for variables. Multiply this by the energy per decay (in joules) to get the power (in watts). Efficiency is the ratio of energy output to energy input. Not very efficient, is it? Assume the power output decays in the same manner as the activity, use years as the unit of time, and generate a formula for a spreadsheet or data analysis application. The results are listed in the text file snap.txt.